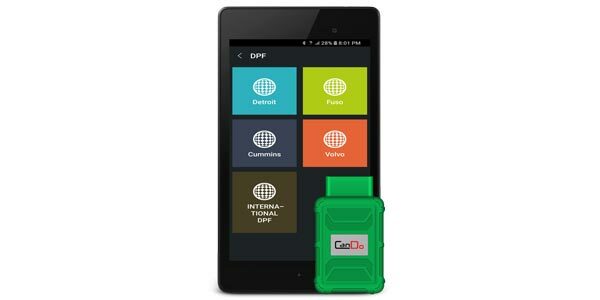 CanDo has announced the addition of International to its coverage for DPF resets and regeneration for both the CanDo HD Code II and HD Mobile. New and existing customers can update their tools to gain access to these new features. MaxxForce 5, 7, 11, 13, 15, and DT9/10 are covered. Both the HD Code II and HD Mobile have a lifetime of free software updates, the company said.